It’s been a while since I’ve posted anything – partly due to the fact that we’re not in motion in the T@DA, and partially because we seem to go on these grueling hikes and bike rides. By the time we get home, we’re so whipped that putting together coherent sentences is far beyond our capabilities. It’s been a week like that…. 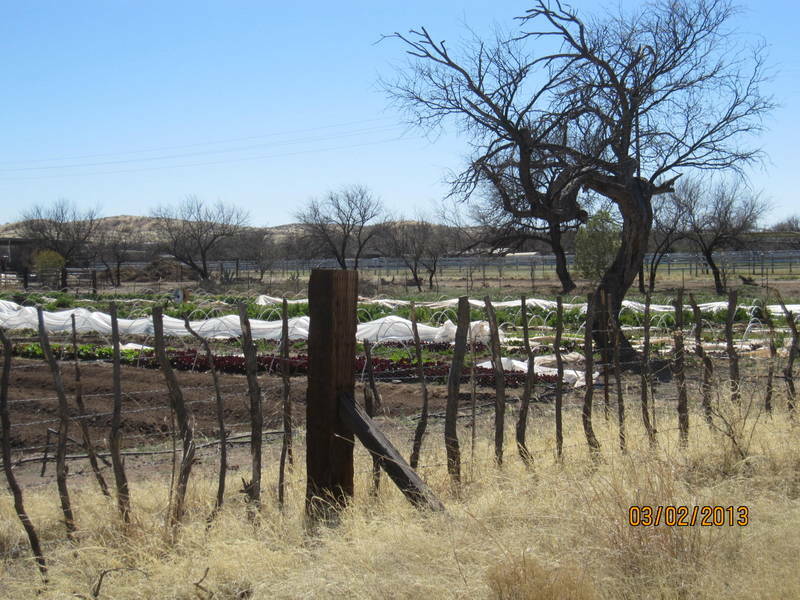 One of our favorite bike rides in the area is the trek to Arivaca, a quirky little town not far off the border. window sign at Gadsden Coffee Shop. 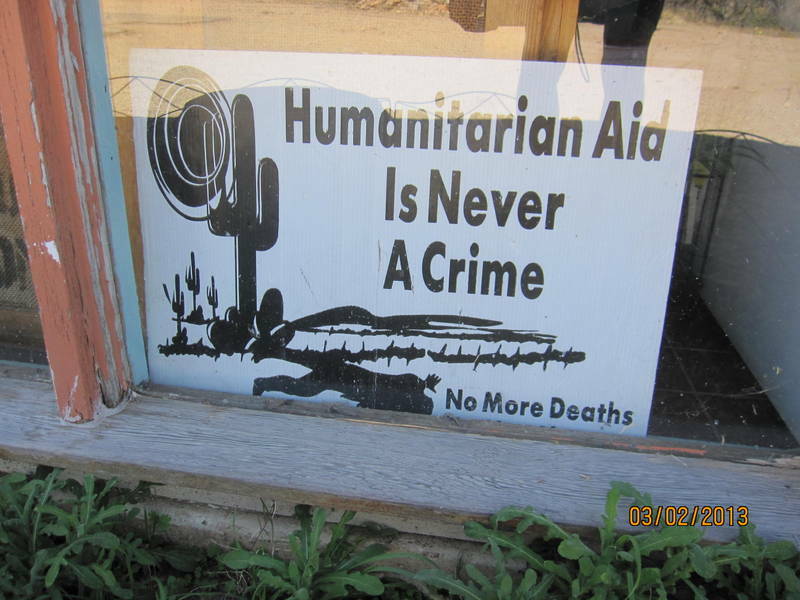 Providing aid to those crossing the desert illegally is always a hot subject for debate. We’ve always suspected that many of the hippie activists of the ’60s wound up there, as it has a grizzled, funky feel to it. 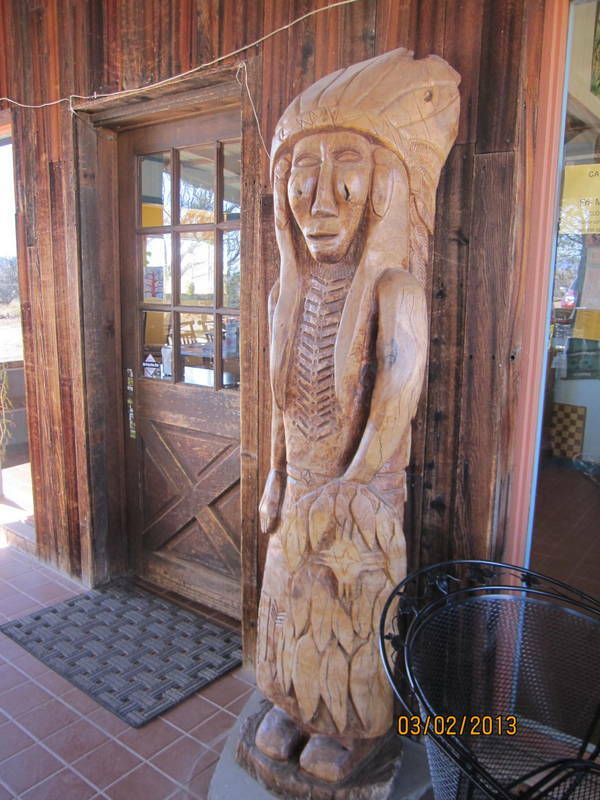 Gadsden Coffee Shop sits at the top of the last hill before one would roll into Arivaca – it’s a beacon for cyclists. We’ve never been there when the place hasn’t been full of bikes and motorcycles. Part of the attraction is the ride itself – a 16 mile flat ride from Green Valley, then 22 miles of mostly uphill roads to the coffee shop. Of course, that means a fully caffeinated roar down 22 miles of pavement to the flat part. It’s a gas. Amazing how hard it is to ride as hard & fast as you can downhill for 22 miles. I tried to get out ahead of the gang enough to stake myself out and get some video of everyone flying past me, but the results were too disappointing to post. Opportunity squandered. After a rest day, and after saying bye to Caroline & Greg (headed to Moab, then back to Michigan), we decided to go on Monday’s big hike. 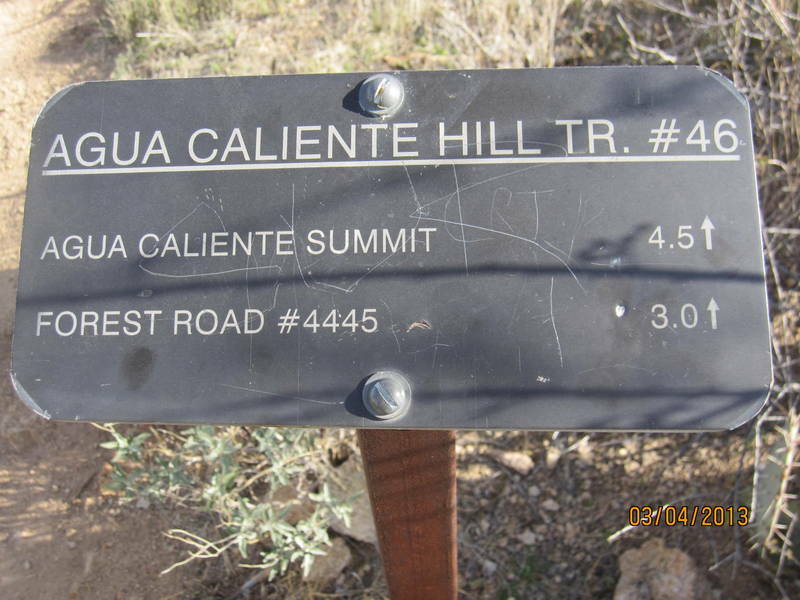 Billed as 9 miles of fun at Agua Caliente (hot water) Hill. Loved this hike! We mainly climbed along one side of a canyon, which quickly moved away from any views of houses or towns. It truly was seeing miles of canyon, desert, and cactus. The canyon aspect made it feel very different from other hikes we’ve done. 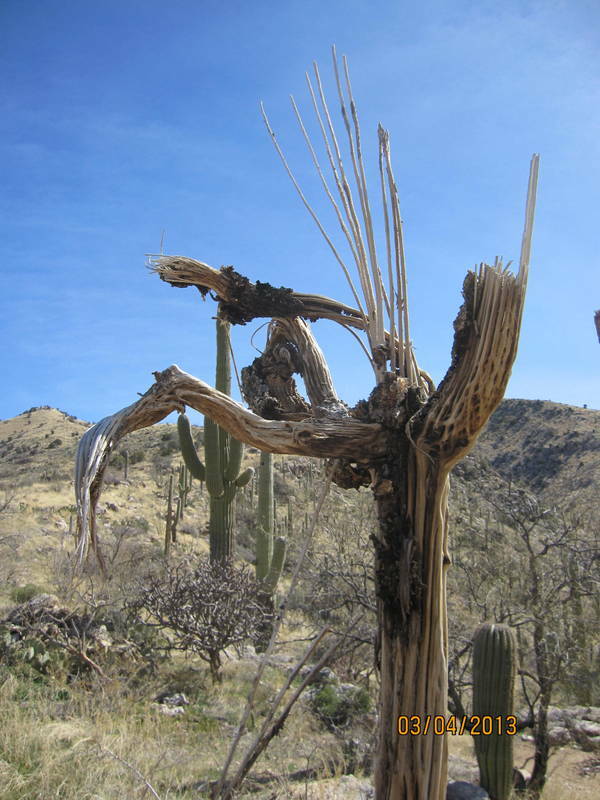 As the Saguaro cactus dies, it leaves a beautiful skeleton. This one is just beginning to disintegrate. Lunch at the top, then 4.5 miles back down. We headed to Nimbus (our favorite brewpub) for some restorative adult beverages. Beer….recovery beverage of choice for hikers and bikers everywhere. Somewhere during the week, John and I opened the discussion about our Arizona life, what we like, and what changes we’d think about making. Long story short, we decided to try to sell Fema, our 5th wheel trailer which resides permanently in Green Valley. (We call her Fema with the utmost love & respect.) We had such a blast traveling in our T@DA (referred to as The Fireball), that staying in one place has been a bit of a letdown, even though we’re surrounded by friends and fun every day. So….John listed Fema on Craigslist Tuesday afternoon about 3pm. By 9am Wednesday, she was sold! We’ll be here until March 18, then Heidi, her new owner will pump up her aging tires and haul her away to her new home out in the hills near Sahaurita. Wow! Luckily for us, our RV park is having their annual garage sale on the 16th, so we’ll have all the Crankshaw possessions out on the curb for everyone to paw thru and purchase. Everything must go! None of this stuff is coming back to Michigan with us. Going forward, we’re going to find a house or condo to rent for a month (probably February) each year. For what we paid in annual lot rent in the RV park, we can find something spacious and nice – with a patio for dinner and relaxation. We’re excited. The beginning of a new Arizona chapter for us. Yesterday was my birthday – officially eligible for that monthly Social Security check now. Bring it on! 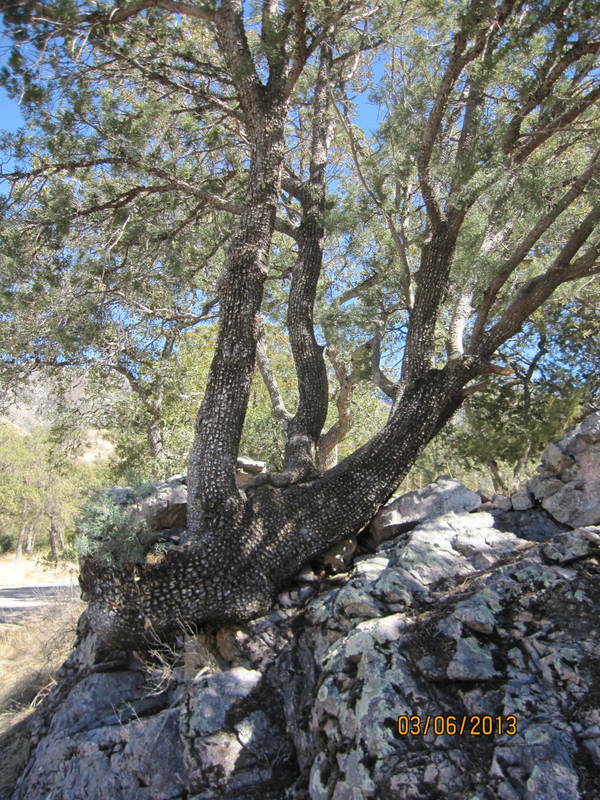 Our plan was to go for a family hike (John, Jezzy, me) in Madera Canyon and get a Geezer Card for me. A Geezer Card is the National Park Senior Pass for those over 62. A $10 fee gets you a lifetime pass for free admission to National Parks, and half-priced camping. Although John has a card, I covet one of my own. Unfortunately, we didn’t realize that we couldn’t purchase the pass in Madera, although one is needed (or pay the fee) to use the facilities there. Bright blue skies for my birthday hike. Road to Dutch John Trail. 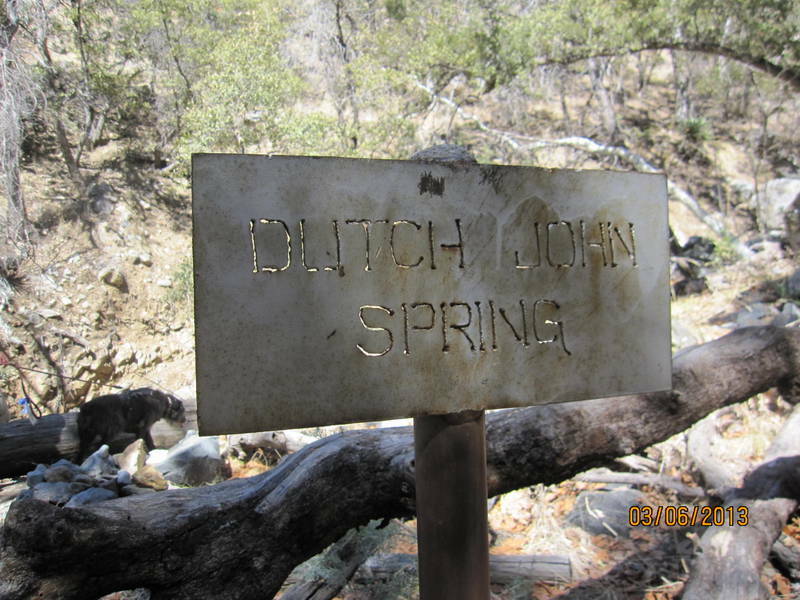 In any case, our hike to Dutch John Spring was great. Steep, but relatively short. a spring-fed basin which probably served prospectors in the hills. 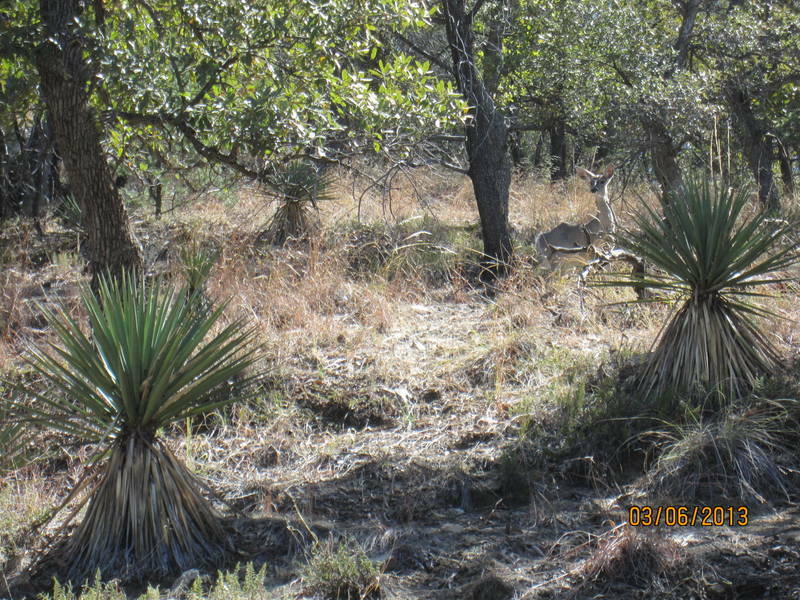 Mule deer are much smaller than the white-tailed deer in Michigan. We had a mule deer dart out in front of us, then stop and stare until we passed by. Jezzy is a blast to hike with – always wants to pace the group out front. She’s pretty nimble, scrambling over rocks and loose scree without any concern. 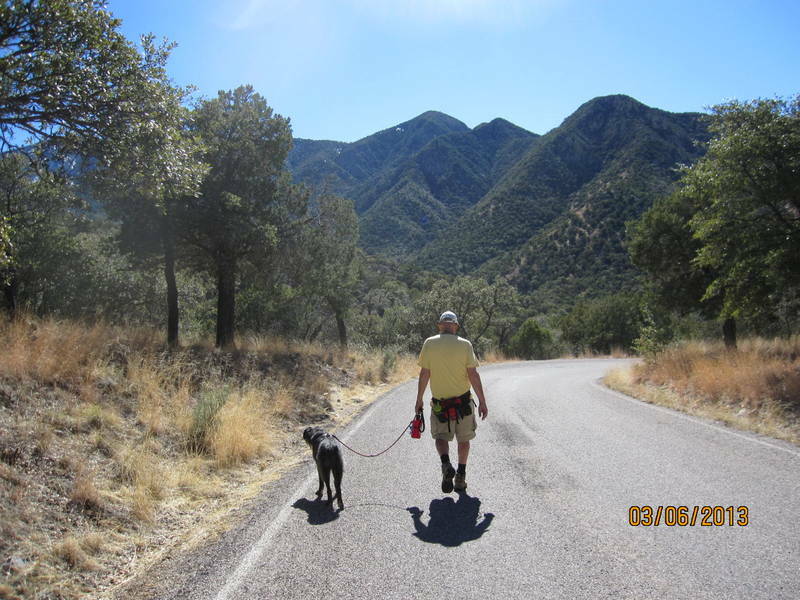 We love being able to take her with us – pets on leashes are welcome at Madera Canyon, which is another reason we love hiking there. Lots of plans for our last week here in AZ. The big Tucson Book Fair is this weekend. Packing and cleaning. Then we head for Nevada, the great National Parks of California, Grand Canyon, and places yet to be determined. It’s gonna be fun. 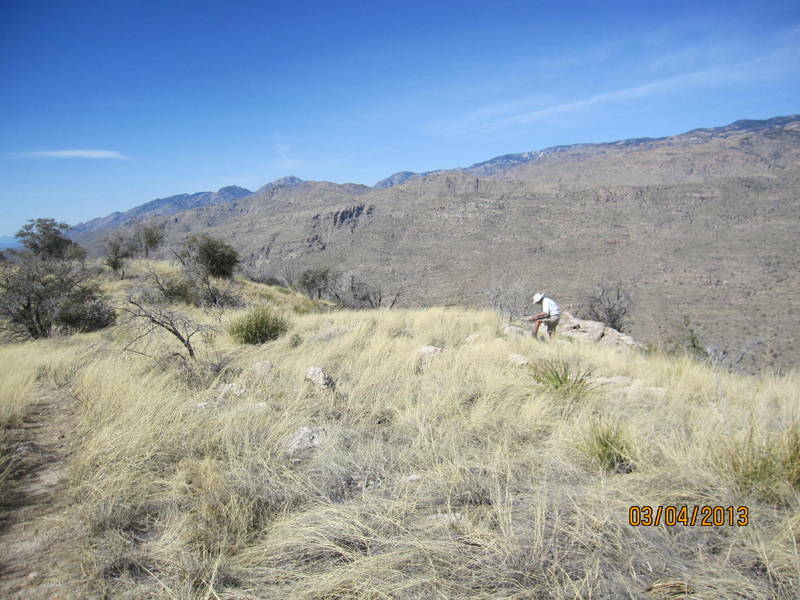 This entry was posted in Arizona, cycling, hiking, retirement, RV life and tagged Arizona, cycling, hiking, RV life by Judy Crankshaw. Bookmark the permalink. Excellent post !! I am so jealous of your lifestyle!! Sounds kinda like you fit in that hippie group at the top of the coffee hill. Thanks – are you back in Michigan yet, or still basking in Florida? Today is the bike race for the Green Valley Senior Games (kinda like Olympics). Several of our friends are racing, so we planned to go cheer them on. It’s pouring, and blowing about 20mph right now. Perfect! What a wonderful life you lead! Your blog brings me joy; I love hearing about the fun and love-filled adventures you all are having. Congratulations on Fema’s sale and your new mobile life. And happy birthday too! Hey Dave – thanks. We’re having a good time putting stuff together for this blog. Hope your weather improves there real soon. We’re looking forward to hearing all the Barry Roubaix stories – are you and Mary entering?